Poor desk. I haven't named her yet like Charlotte, Marge, or Sunny. Maybe I should name her Charlie or Susie. Well, "the desk" began as light, pine/oak desk. She was really nothing special, and I accidentally forget to take a before picture. You'll have to use your imagination! To be honest, there wasn't much scientific anything going on (unless you count making a huge mess and splattering stuff all over!). Yet, just for the record, this is what I did. I poured out about 1/3 of a quart of flat paint into a new container. Then, I poured about 1 cup(ish) of plaster paris into the remaining 2/3's of paint in the quart. I stirred and stirred. Then, I added about two tablespoons of water and stirred some more. It was gritty, but not clumpy. Since I've never used the real chalk paint, I was left to guess at what it should look like. I thought the consistency looked about right, so I started painting. Surprisingly, it went on nice and smooth. Although there were a few places that looked a little bubbly, they went away after it was dry. I ended up painting three coats (just for good measure) and finished with a coat of Minwax finishing wax. 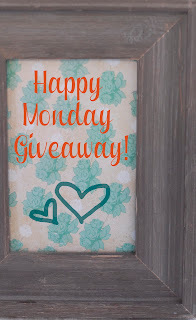 In the end, I was happy with my little can of chalk paint and hope to use it again! Although, I did realize that adding a little water after it was sitting for a while (like overnight and more) would have been a good idea. I noticed that it got a little too gritty after sitting for a while. And although I just sanded the bubbles smooth, I think that adding a little water and stirring well would have solved the problem. So, here's some more shots of "the desk" after a couple coats of chalk paint and a rustic stain job on the top! 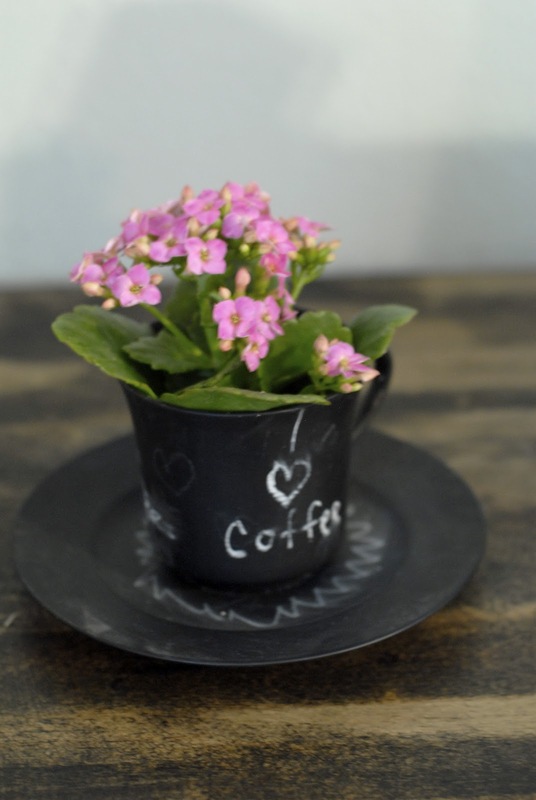 "The desk" is staying at our place, so I had some fun adding a few little touches--like flowers in my chalkboard teacup and a makeshift mouse pad--on the top. Maybe I will name her Charlie. I kinda like it. that looks great, nicole! i love the weathered looking top! VERY cute!! I am looking for a similar shape desk to add to my daughters room.